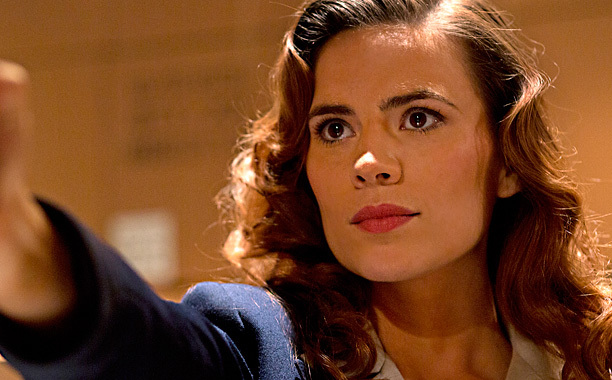 New CAPTAIN AMERICA: THE WINTER SOLDIER concept art plus First Look at Marvel One-Shot AGENT CARTER!!! As we get closer and closer to SDCC, we can expect the flood of information about upcoming flicks to start pouring in faster and faster. 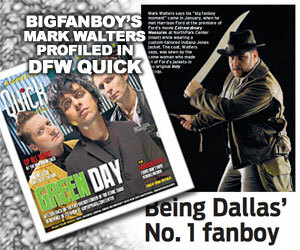 Even before the con opens its doors, we are already starting to get that flood of information. We now have new concept art for next year’s CAPTAIN AMERICA: THE WINTER SOLDIER, the sequel to 2011’2 CAPTAIN AMERICA: THE FIRST AVENGER. 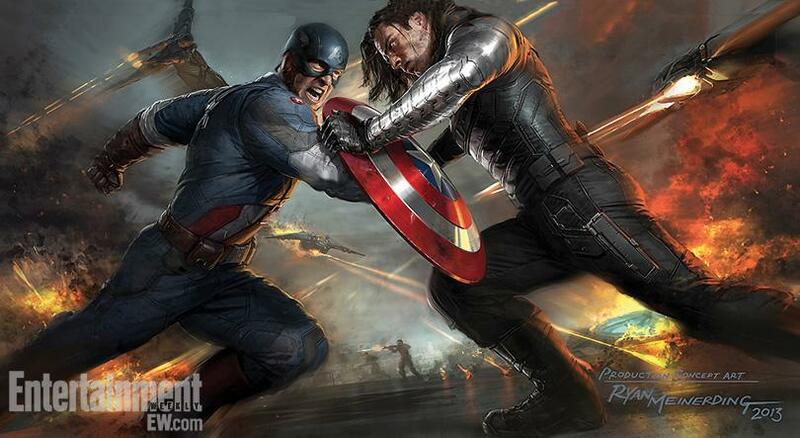 In the art we see a fully suited Captain America (Chris Evans) taking on an unmasked Winter Soldier (Sebastian Stan) with the Falcon (Anthony Mackie) flying in the background. 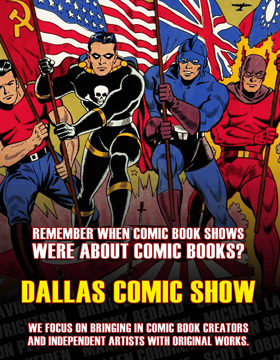 This, of course, is in contrast to one of the first bit of concept art that was released for the film which saw the good Captain in street clothes fighting a fully clothed Winter Soldier. 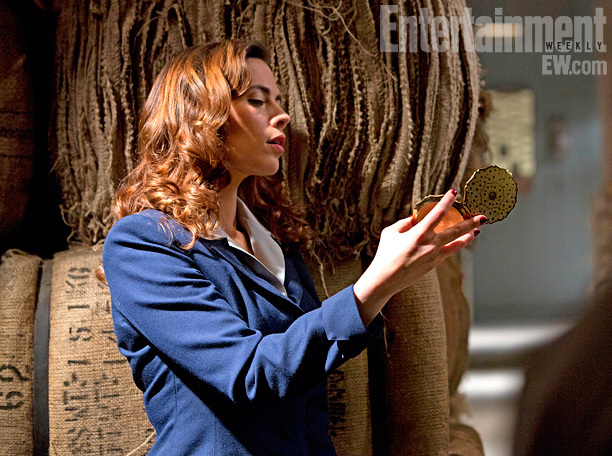 In addition to the release of the concept art, we also have our first look at Marvel’s next One-Shot, AGENT CARTER, thanks to Entertainment Weekly. This marks the fourth One-Shot they have released with THE CONSULTANT (on the THOR Blu-Ray), A FUNNY THING HAPPENED ON THE WAY TO THOR’S HAMMER (on the CAPTAIN AMERICA: THE FIRST AVENGER Blu-Ray) and ITEM 47 (on THE AVENGER’S Blu-Ray) being the other three. 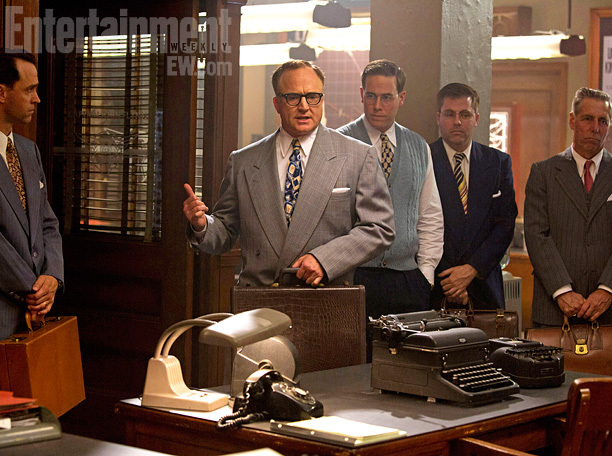 Marvel Studios co-president and short-filmmaking impresario Louis D’Esposito has opened the secret file on the latest “One-Shot” film Agent Carter, and EW has the exclusive look at the retro-comic poster and three images from the movie, which will debut at Comic-Con next Friday. 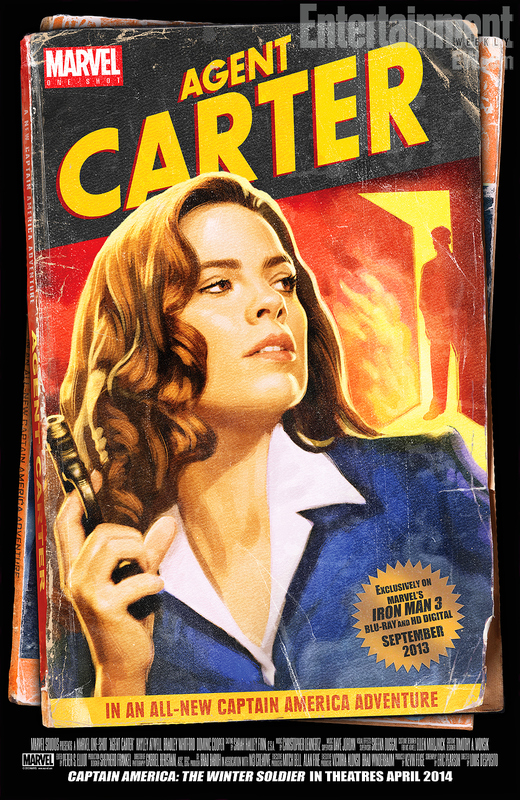 Check out the poster and images below and look for AGENT CARTER as part of the IRON MAN 3 Blu-Ray that is set to hit stores on September 24, 2013. CAPTAIN AMERICA: THE WINTER SOLDIER is directed by Anthony Russo and Joe Russo and stars Chris Evans, Scarlett Johansson, Samuel L. Jackson, Robert Redford, Sebastian Stan, Anthony Mackie, Cobie Smulders, Frank Grillo, Georges St-Pierre, Hayley Atwell, Toby Jones, Emily VanCamp and Maximiliano Hernandez. 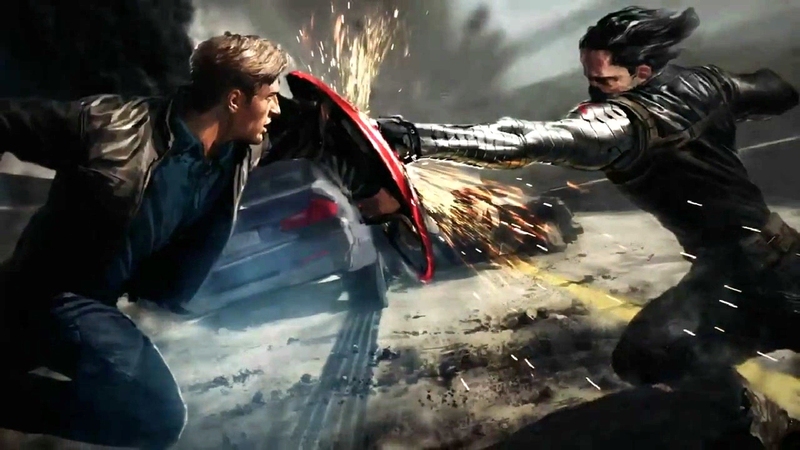 SYNOPSIS: ‘Captain America: The Winter Soldier’ will pick-up where ‘Marvel’s The Avengers’ left off, as Steve Rogers struggles to embrace his role in the modern world and teams up with Natasha Romanoff, aka Black Widow, to battle a powerful yet shadowy enemy in present-day Washington, D.C.
CAPTAIN AMERICA: THE WINTER SOLDIER is set to hit 2D and 3D theaters on April 4, 2014.